We have a handful of unclaimed Solar Calendars that are getting riper by the minute. If you should wish to procure one for yourself or an Amish-leaning compadre, please send us the appropriate name and address, and we will whisk one over, totally free of charge! Whether a business or personal holiday greeting, if you send out an emailed holiday card, you are allowing the robots to win! BottleBro, is an innovative bottle opener constructed from a 7.25" section of a lacrosse shaft. During a recent parental bonding session, we suddenly became familiar with a BottleBro, an innovative bottle opener constructed from a 7.25" section of a lacrosse stick shaft. 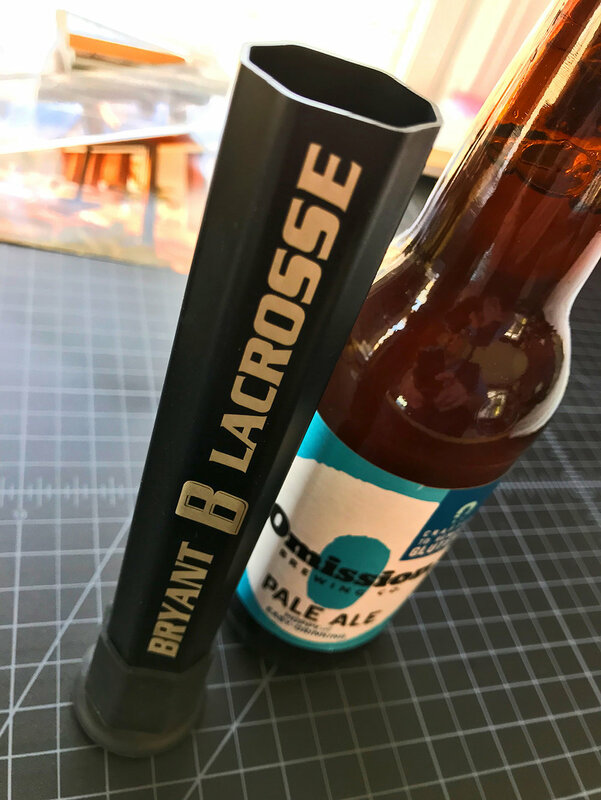 Despite some skepticism at first, our official Bryant University Lacrosse has become an essential tool for our TPT (Tailgate Preparedness Toolbox). I've known Chris for many years before and after our working together at PARTNERS+Simons. I was fortunate enough to be hired by Chris to design the store's corporate identity which centers around a whale riding a bicycle.